The first Kohl’s department store was opened in 1962 by Maxwell Kohl. This company looks for honest, energetic, and professional candidates who can give extraordinary service. If this sounds like you, the click the link below to search for Kohl’s jobs and fill out the Kohl’s application. Kohl’s didn’t start life out as a department store. It was first founded as a food store in 1946 but where the food stores failed, the department stores grew, becoming the second largest department store in the United States. They care about their community and their environment by recycling, and donating time and money. The company recycles approximately 150,000 tons of material every year and have partnered closely with the Environmental Protection Agency to offset 100% of their energy use. They have raised more than $247 million since 2000 for children’s health and education while partnering with more than 160 hospitals to help education families about injury prevention, healthy lifestyle, immunization, asthma, and infant care. The company’s associates have also volunteered more than 3.2 million hours of time to help more than 8,000 unique nonprofit organizations. How to apply for Kohl’s online? 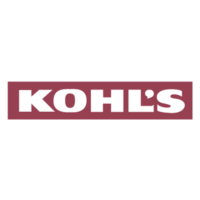 Find the link under Job Links to search Kohl’s jobs and find the position that you desire. Once you find that perfect opportunity, complete and submit your Kohl’s application. There are many openings available at this company. Some store jobs include Loss Prevention Supervisor, Store Manager-In-Training, Customer Service Associate, and Freight Associate. Other Kohl’s careers can be found in other departments such as Administrative Support, Corporate Office, and even Childcare. Some of these positions include Administrative Assistant, Assistant Buyer, Regulatory Compliance Analyst, and Accountant. You will find many more opportunities as you continue your search for Kohl’s jobs online. How old do you have to be to work at Kohl’s? Though the minimum require to work for this company is 16 years of age, there are certain positions and states that require the candidate to be 17 or even 18 years old. The company offers full-time eligible employees and part-time eligible employees a very competitive benefits package. Some of those benefits include merchandise discount at all of the stores, special medical plan for part-time employees, comprehensive medical and dental for full-time associates, group life insurance, 401(k) with corporate match retirement plan, vision plan, and paid time off including sick leave, and vacation days. There is a printable application for Kohl’s available to download located near the bottom of this article if you wish to apply for jobs at Kohl’s in person. Hours of operation are Monday through Thursday 9:00am to 10:00pm, Friday from 9:00am to 11:00pm, Saturday from 8:00am to 11:00pm and Sunday from 9:00am to 9:00pm. Customer Service Associate – The Customer Service Associate contributes to the customer oriented atmosphere within the store by greeting customers and associates with a smile, has a can-do attitude and efficiently resolves customer’s questions, requests, and issues. Other responsibilities include ensuring that all cash handling procedures are completed in accordance to policy and procedure, and will make sure that merchandise returns and holds are promptly removed, folded, hung, tagged and priced appropriately before returning to the sales floor. Freight Associate – The Freight Associate utilizes and adheres to merchandise presentation standards of replenishment, signing, sizing, clearance and clean store. This role also follows company merchandise presentation directives and standards while merchandising incoming truck freight and replenishing the sales floor, assists with price changes, USA counts and uses RF equipment (radio frequency) as needed, and properly loads merchandise, fixtures and/or supplies onto trucks for transfer or return. Ad Set Associate – This role is responsible for using radio frequency equipment to determine sign needs by fixture for a particular ad event, setting appropriate sign and collateral per event, ensuring merchandise is signed correctly, and completing ad set to the company’s best practices. Assistant Store Manager – The Assistant Store Manager is responsible for providing the interpretation, administration and direction for the company’s standards, being accountable for the results of customer service programs through the customer service scorecard, and leading/directing Area Supervisors in the standard for customer issue resolution. How well do you handle customer complaints? When answering this question, use your previous work experience to provide an example of when you handled the customer complaint, and how you resolved the customer complaint. Can you explain a time that there was an obstacle where you had no help? This question is asked to find out what kind of critical thinking skills you have. The interviewer also wants to know what kind of problem solving skills you have. Do you have any questions about the job or the organization? It is always recommended to generate a list of questions to ask the interviewer. You should ask questions regarding who you would be working with, what the company’s goals are, and the specifics of the job that you are applying for. Can you tell me about a retail or dining experience that you felt was exceptional and why? Be specific in your answer. Take an experience as a consumer; describe what made the service outstanding, and how it made you feel. The first place to begin in the application process is the application. Make sure that you read all instructions carefully and update your resume to match your application. Be advised that you will most likely have several assessment tests that you will need to complete, so leave yourself plenty of time. Once your application is completed, research the company and the position that you are applying to. You will want to compile a list of questions regarding the job, the duties, and the company. Some questions may include the type of training that you will receive, what kind of career advancement is available, and what steps the hiring manager took to be in the position that he or she is in. You will want to dress professionally for your interview. Follow good hygiene rules, including being clean shaven, wearing natural looking makeup, and keeping the jewelry to a minimum. Avoid distractions or looking unprofessional by turning off your phone, spitting out your gum, and coming prepared. Show confidence while being relaxed during the interview by having a good posture, smiling, and keeping eye contact. Use your past work history for examples and make sure the examples focus on your strengths, skills, and personality. Always answer the questions completely and concisely without muttering. Show that you are grateful for the time and consideration by thanking the recruiter.